The Italian, Fabio Salini, is definitely a jewelry virtuoso. He likes to play on the contrast of colors and materials, works great with volume and shape, and boldly uses unconventional materials. The design of this person is modern, and at the same time it seems beyond the whims of fashion. He represents the artist’s conscious personal view of the jewelry art. Considering these works, it can be assumed that behind their creator is an architectural past. However, as it turned out during our meeting at the Masterpiece London, Fabio Salini never engaged in building design. During the legendary London fair, the Margo Raffaelli team met with the maestro in person to talk about his long journey of development and sources of inspiration. The capital enameler, Ilgiz Fazulzyanov, doesn't need the introduction. His works are loved in both native Russia and the rest of the world. A couple of years ago, the master got a personal exhibition in the Assumption Belfry of the Kremlin, and last year he opened two galleries — first in Paris and then in Moscow — to coincide with the commemoration of the twenty-fifth anniversary of the enameler’s career. 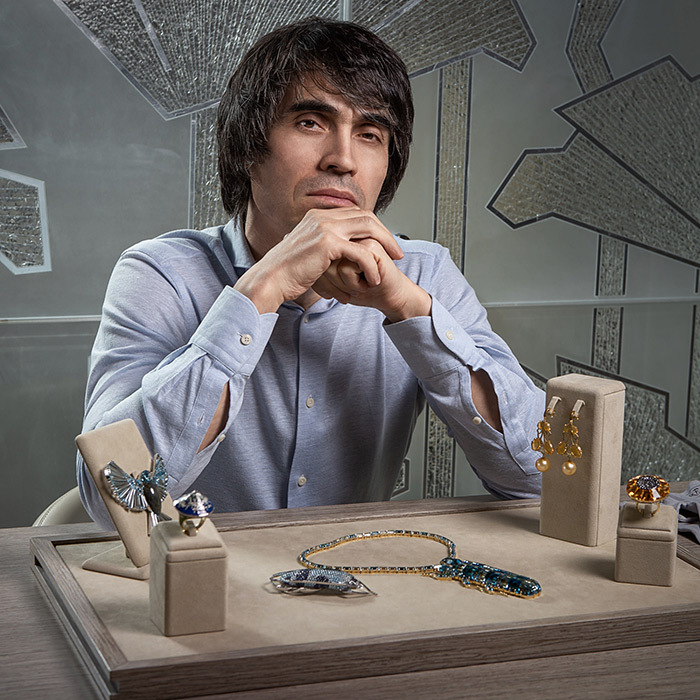 In anticipation of the summer season, we met with Ilgiz in his Moscow showroom to talk about new plans and sources of inspiration. The world learnt about Shamballa — the Danish jewelry brand, which combines the ancient macramé technique with precious stones — in the second half of the 2000s. The rush in demand for its bracelets appeared literally from nowhere and for a couple of months the brand’s braided pieces became the most copied in the world. During the Couture Show in Las Vegas, we met with the owners of the company, Mads and Mikkel Kornerup, to discuss the phenomenon of Shamballa Jewels and to find out how the brand was developing.